Stop Juggling Your Calendar and Let Us Handle It! 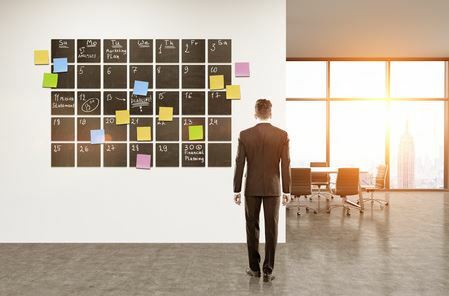 In the world of work, scheduling appointments often can end up being an impossible battle, especially if your team is short staffed or trying to manage the phones and the day-to-day workload. Knowing what’s on anyone’s daily agenda can also be tricky, leading to missed meetings, canceled appointments or ignored requests. If you’re struggling to keep calendars straight and tackle callbacks and meetings, let A Personal Answering Service step in to cut through the clutter and confusion. Our 24-hour live agents can take your take calls and set up callback requests and schedule appointments using a scripted process that ensures we get the information you need. Our agents can make appointments in our web-based calendar, tailoring it to meet your scheduling patterns. We can block out times when you hold regular weekly meetings or during employee vacations, ensuring that there are no conflicting appointments, as well. Scheduling appointments can happen in two ways. Through this system, we offer a web-based calendar to schedule the appointments, where we take call and make appointments for you. Your staff is also able to access this scheduler to view when they have upcoming appointments or make adjustments if needed. The second option is to use your existing online appointment scheduling software. Rather than training your staff to get accustomed to a new system, we utilize your current office system to schedule appointments, allowing you to continue working in a familiar system and get the help you need. One of the worst parts about office work is when your client does not show up for their appointment. You’ve prepared, created charts, gathered notes, blocked your calendar and end up with a no-show. To help keep your appointments as scheduled, our agents can also call your clients the day before to remind them of their upcoming meeting. This way, your preparation does not go to waste, and you can rest easy knowing your client will show up or can reschedule in advance if they know there’s a conflict in their schedule. Clients in a wide range of industry can use our appointment scheduling services to free up staff, get calendars in order, and reduce the frequency of no-show appointments. Get more information today and learn about our no-risk free trial by calling us at 800-477-9103 or 410-288-7600.